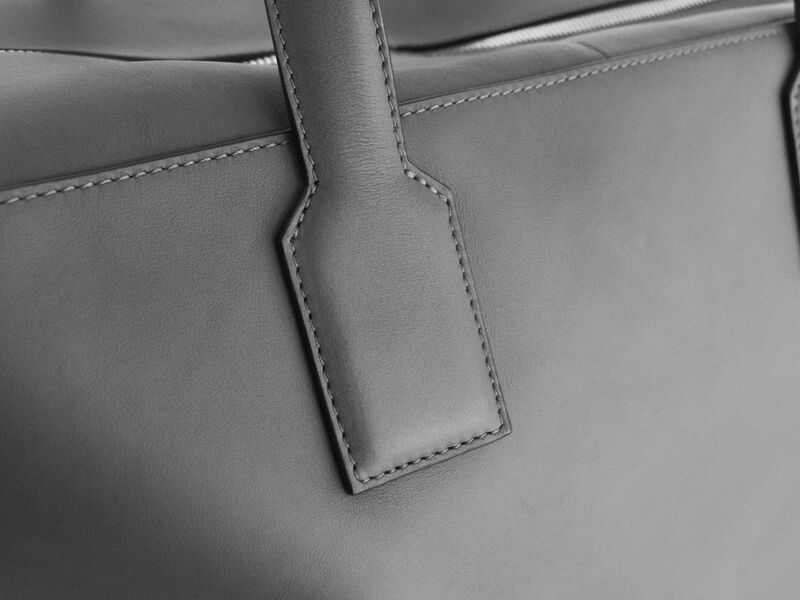 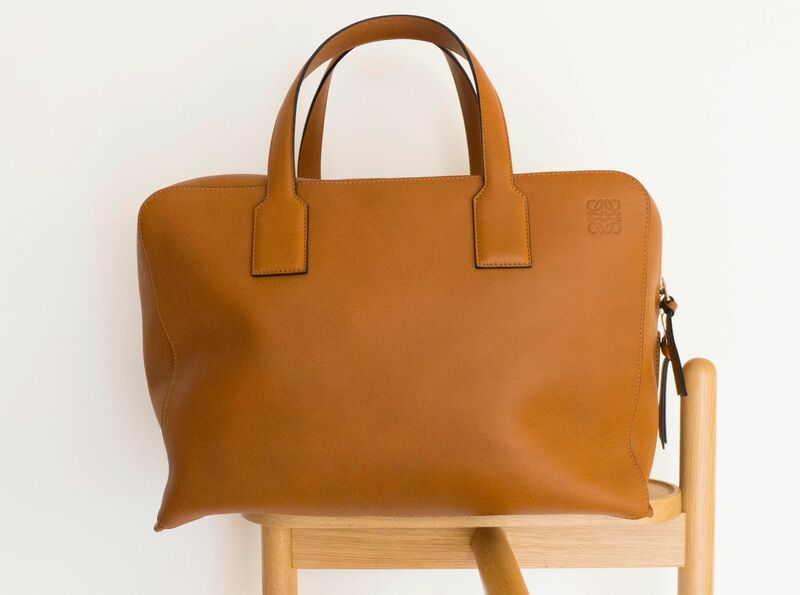 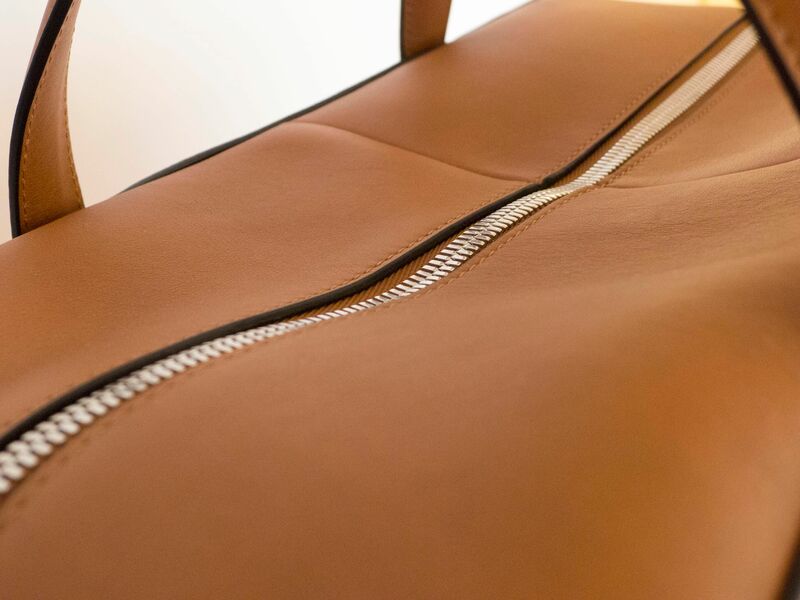 The Spanish brand Loewe’s Goya Weekender bag is made from soft calf leather. 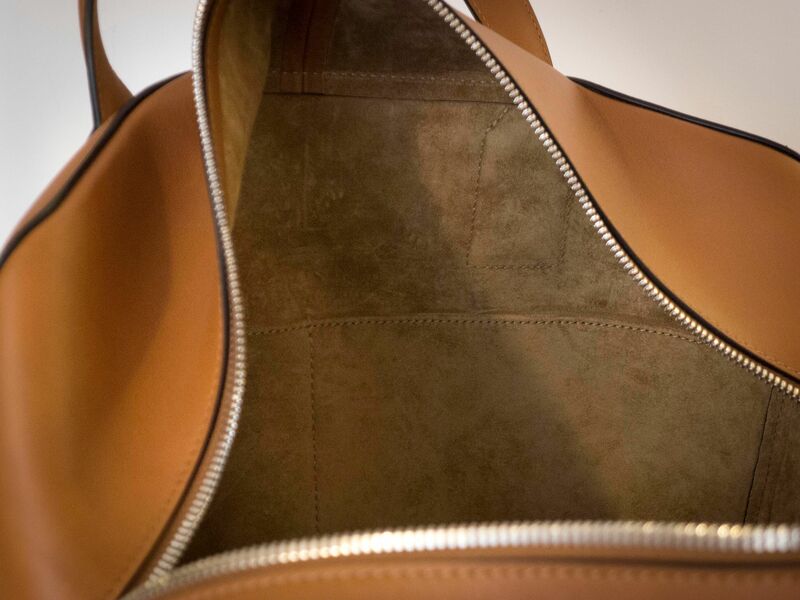 It features a soft-structured construction, an interior bonded in suede with two-patch pockets and a two-sipper zipper closure. 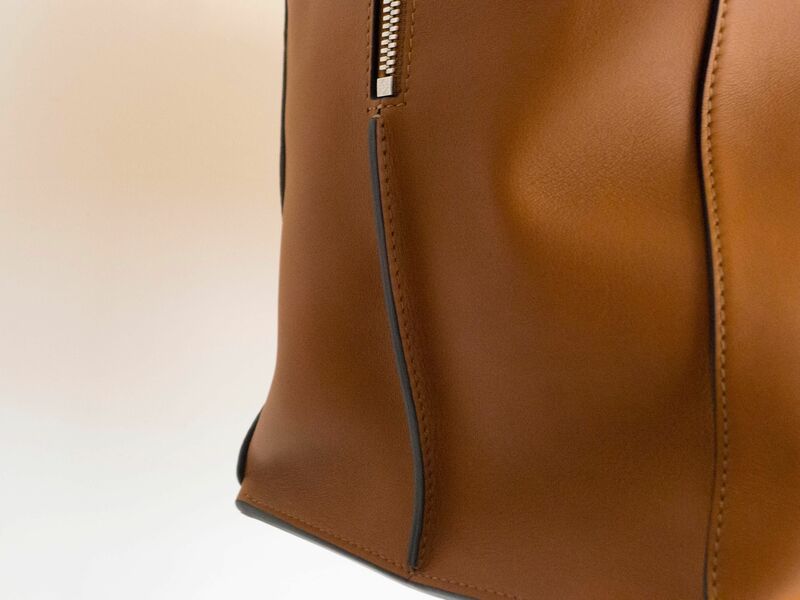 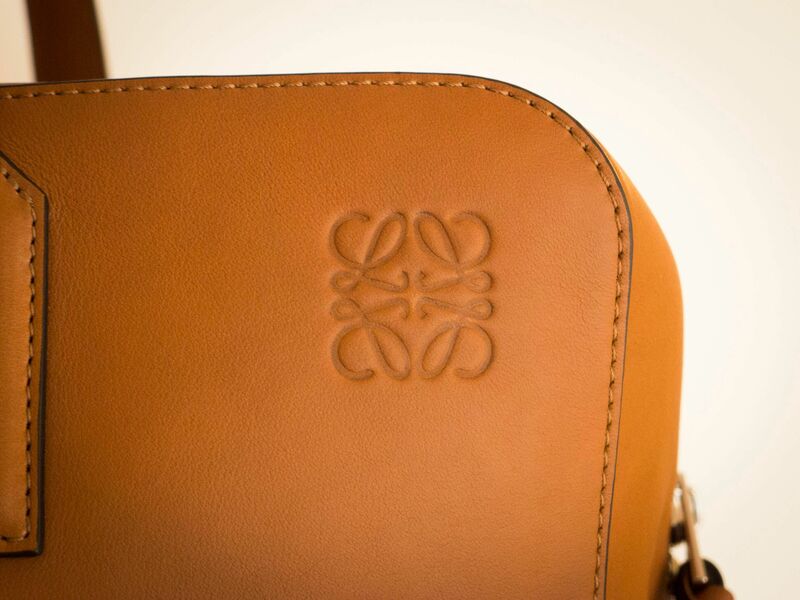 Nearly 170 years old, Loewe is a Madrid-based brand renowned for its luxury leather goods. 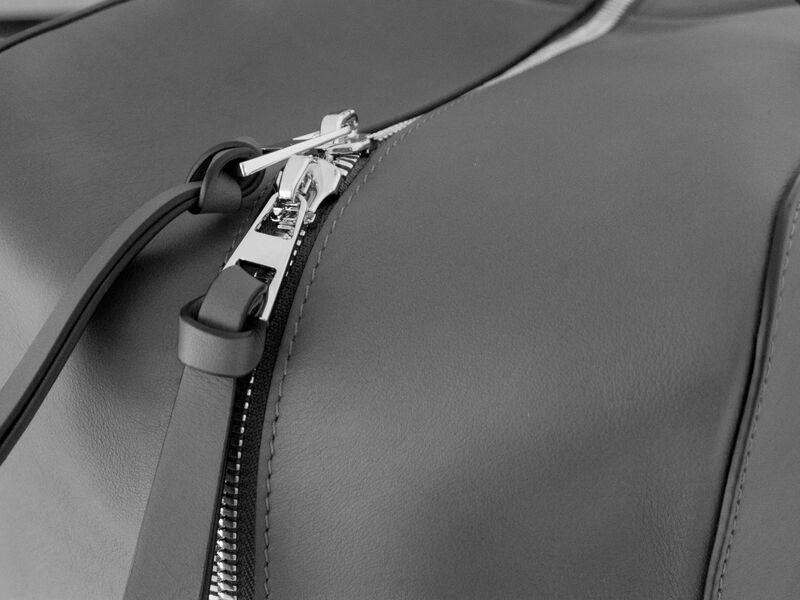 Its current creative director is the British designer J. W. Anderson, who worked on his first collection in 2014.